Many individuals think of nursing homes as locations to go to die. 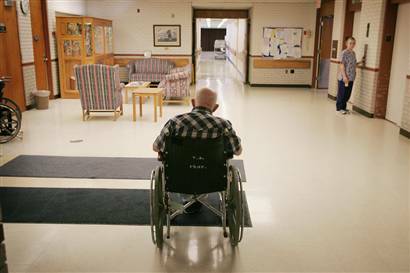 But in most nursing homes, experienced nursing and recovery facilities are in fact locations individuals go to live. They are a big part of the solution to the state’s wellness care difficulties, offering quality and cost-effective transitional, rehab, long-term and high-acuity care to those in need. With the upcoming execution of the Affordable Care Act, we have an opportunity to identify and pilot ways in which experienced nursing and recovery facilities can be essential to offering expanded care to individuals and families in need and implementing center‐based resources into the community for public wellness difficulties. Nursing facilities have valuable tasks to play in effectively developing care across all configurations, connecting the dots among family care providers, primary care doctors and nurses and hospital-related care to provide better focus and incorporated care to address such things as chronic cardiovascular disease, diabetes and obesity. Centers also can help elderly people to build strength before needed procedures and with recovery services after a medical center stay and before heading home. As middle-agers age, delay entry into nursing homes, and age in place at their own homes or in other configurations, now is the time for us to think big, executing policies to keep individuals well and engaged while controlling costs. Nursing homes can deliver help not just to individuals in need but also to their family caregivers. Additionally, a strong business case can be made for the value of skilled nursing and recovery centers. In terms of performance and cost, State health programs expenses for long‐term and rehabilitative care over the last eight years grew at a slower speed than State health programs overall, 6.6 % vs. 8.1 %, and 6 % lower than State health programs expenses for out-patient medical center services (12.5 percent).